"Langatang valley is one of the world's most beautiful valley." Langtang trekking is another popular trekking destination in Nepal, considered by many trekkers. It is easily accessible from Kathmandu without flight, just north of Kathmandu with soaring peaks on either side of the valley. 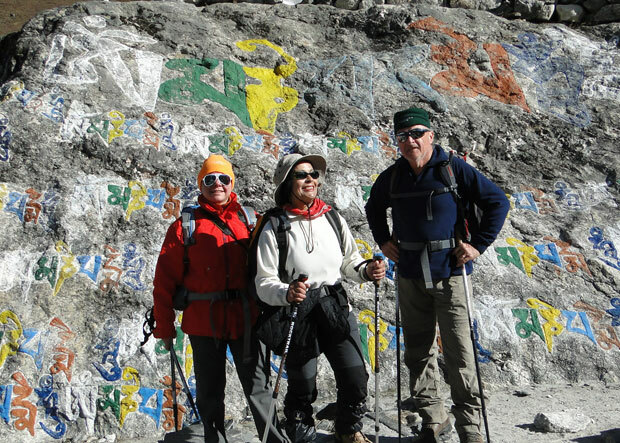 Treks in Langtang valley unfolds the colorful culture, religion and traditions of Tibetan origin ethnic groups on the back dropped of stunning mountain sceneries. The proper trekking will start from Dhunche, headquarter of Rasuwa district. You will be in love with Langtang National park after seeing charming views of the mountains and valley. Walking through the beautiful forest and climbing up and down, seeing beautiful mountains, encounter with wild animals, chanting with friendly people will give you best experience in Nepal Himalayas. You can learn little bit of Tibetan culture. The inhabitant of these area are Tamang and Sherpa people during your trekking. The Kyanjin Gumba is the best and last place for tea house trekkers to enjoy awesome mountain ranges. You will be surrounded by mountains. Langtang valley is also popular for several species of flora and fauna, which is very interesting part for the trekkers. Langtang trekking offers spectacular mountain and landscape scenery. You can enjoy with the lovely panorama views of the mountain and valley since you leave Kathmandu. The drive through beautiful landscape and zigzag road will give you unforgettable memories. It is also known as cultural heritage trek. Changes in elevation combined with the complex topography and geology have produced a unique patchwork of vegetation in this region. This relatively less crowded trekking route heads through a varied landscape ranging from ever green forests, cascading waterfalls, sub-alpine grasslands and closer to the mountains Langtang Lirung (7246m), Gang Chhenpo (6388m), Lenpo Gang (7083m), Dorje Lakpa (6990m). Day 12: Final departure to Kathmandu airport or further program according to flight schedule.